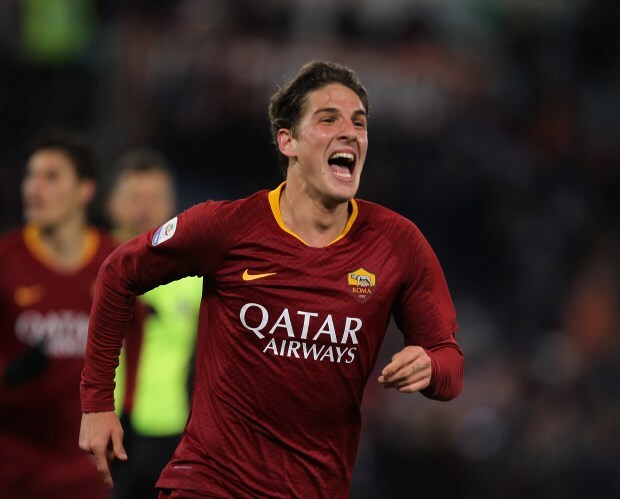 Roma are moving rapidly to lock Nicolo Zaniolo down to a new contract amid interest from Arsenal in the midfielder. Zaniolo has been a revelation for Roma in Serie A this season and the 19-year-old is quickly becoming highly rated. He scored for the Giallorossi on Sunday to earn Roma a 1-1 draw at home against AC Milan, further boosting his stock. Arsenal have been linked with wanting Zaniolo, but Roma are not keen on losing the teenager and are now rapidly moving towards signing him up to a new contract. The Serie A giants want to make sure Zaniolo signs a new contract this month and, according to Italian outlet Tutto Mercato, are to hold a key meeting towards that aim next week. Roma want to extend his deal until the summer of 2024. And the Giallorossi are prepared to offer Zaniolo a substantial pay rise to convince him to put pen to paper to a new contract. Zaniolo joined Roma from Inter last summer as part of the deal which took Radja Nainggolan to the San Siro.